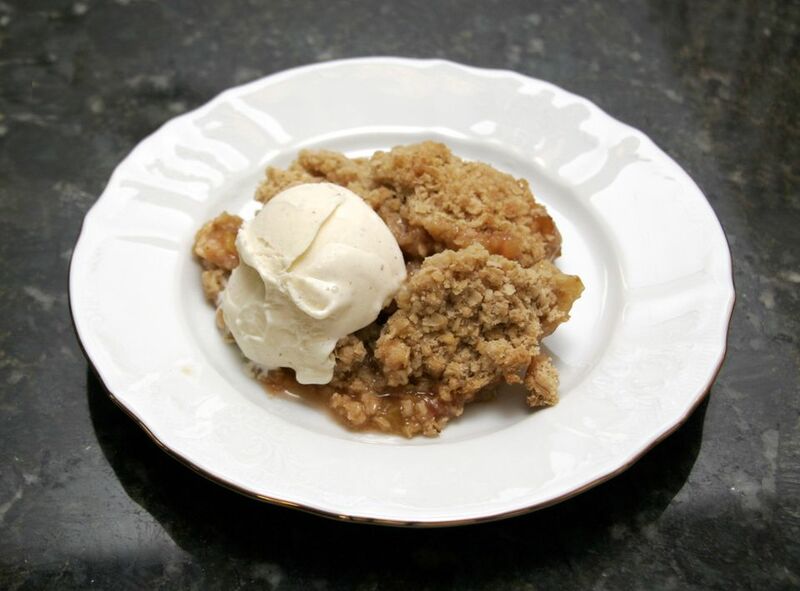 This is a great tasting rhubarb crisp made with fresh rhubarb and an oat crumb topping. Serve this dessert with a dollop of whipped topping or scoop of ice cream. Arrange diced rhubarb in the prepared baking dish. Mix together the orange juice and cornstarch, then toss the rhubarb in it. Then sprinkle with the 1 cup sugar and the cinnamon, and dot with the 1 tablespoon of cut up butter. Sift together the flour, salt, and baking soda; mix with oats. Combine the flour-oat mixture with the brown sugar and melted butter mixture until well blended. With hands, spread the crumb mixture over rhubarb. Serve warm, with ice cream or whipped topping.